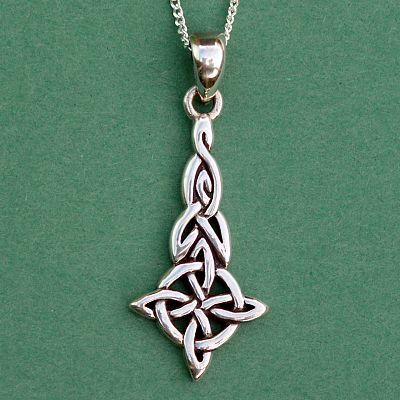 - This pendant includes the circle of the earth, entwined with a four-point Celtic knot. Find your center, and chart a course for your future. Measures 1 3/8" tall, including bail. Comes with an 18" sterling chain. 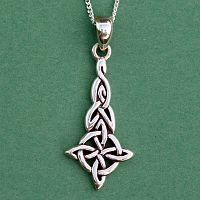 Do you have any other questions about our Silver Four Quarters Celtic Pendant? Fast shipping! 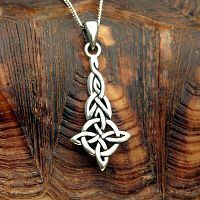 Beautiful pendant! Only one complaint: the clasp is very tiny. 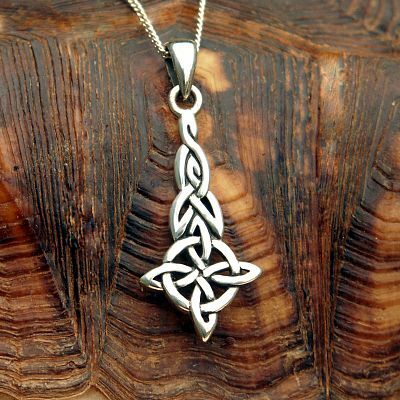 Love the symbolism and design that this pendant has. Definitely an inspiring piece to wear. Fast shipping. I adore this piece with all my heart!!! It was fast shipping and everything, it was very much worth it!!!!!! I highly recommend it! Beautiful item and fast shipping!! !